The WESN Allman takes on a pretty bold task of perfecting one of the most already-beloved quintessential knife designs. The classic drop-point flipper. One of the most popular knife styles in the world, the drop-point is called so because the spine of the blade (above the edge) drops downward, giving it a more pronounced tip. The edge of the blade travels upwards to meet the gently dropping spine at this somewhat centrally located tip, making it a knife that’s almost as functional as a spear, and an ideal knife for piercing as well as cutting. Most Swiss Army Knife multitools make use of the Drop Point knife, and have helped democratize this style. The flipper format too, is perhaps the most common format for pocket knives. The blade rotates into a hollow handle, and flicks out when the mechanism is actuated using a small trigger under the thumb. The Allman is no different in this regard. 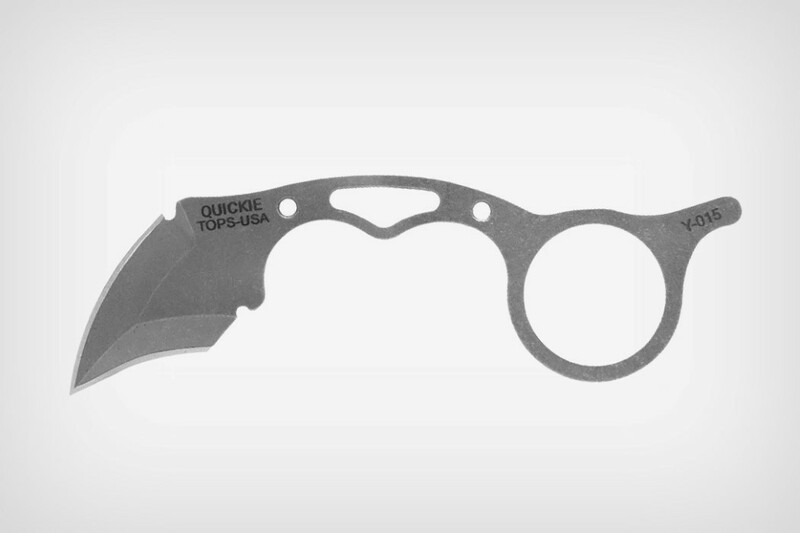 It’s compact, like most pocket knives, and features a drop-point blade with a switchblade mechanism. However, it tries to be a specimen of absolute finesse and perfection in its category… much like a well-aged single-malt amidst a sea of spirits. 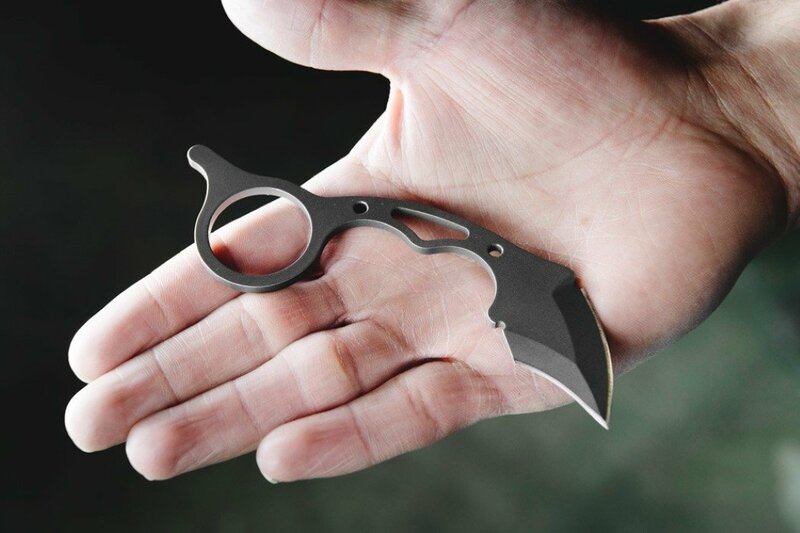 The Allman knife comes in a compact 3.5-inch form factor, with a 2.75-inch blade concealed within it. 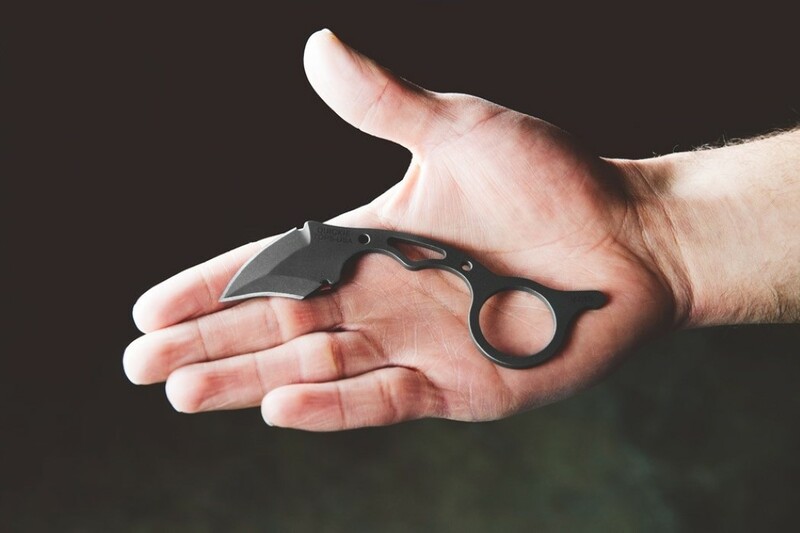 It’s designed to fit perfectly into the palm of your hand, and is weighted in a way that makes maneuvering the knife easy too. 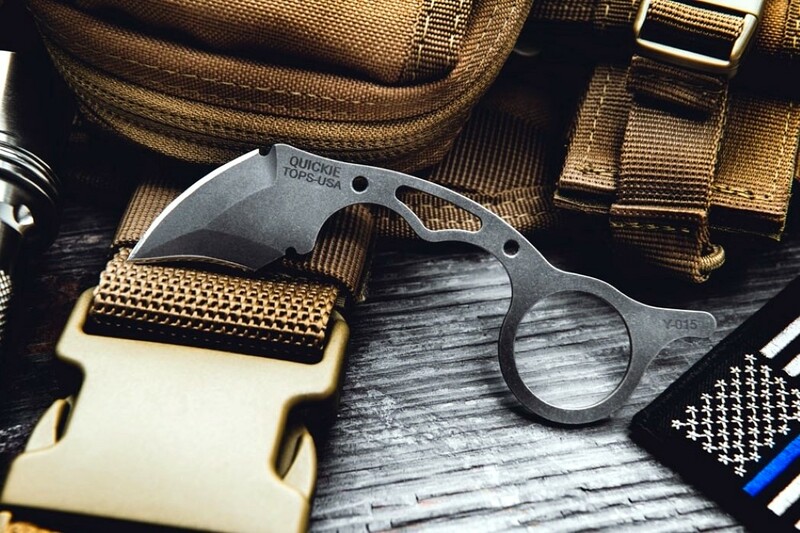 The Allman features an S35vn steel blade, a material respected in both the industry and the field, and swings open from within the handle with a smooth one-hand deployment action courtesy the ball bearing pivot. The Allman’s handle explores two classic material variants too. The G10 fiberglass handle is a complete crowd favorite, giving the knife a certain lightness yet not compromising on durability even the slightest. The G10’s anti-corrosion, weatherproof, sturdy nature allows it to last much longer than any other polymer. On the other hand, the Allman also comes with the option of a titanium handle. Titanium, the choice of connoisseurs, lasts generations long without showing any signs of stress. It also happens to have the highest strength to weight ratio of all the known metals, allowing the knife to attain a balance that makes it comfortable to use. Using industry standards, refined mechanisms, a crowd-favorite design, and premium materials, the Allman pocket knife is what classics are made of. It comes with a pocket clip and a lanyard hole built into it too, to make carrying it around convenient at all time… and a lifetime warranty to ensure you’ll be using it all the time. Click Here To Buy Now: $99 $125 (25% off). Hurry, less than 48 hours left and over $160,000 raised! With a 2.75” blade and a 3.5” handle, the WESN Allman is a compact, lightweight knife that fits right in your hand. Available in both a titanium and G10 option, the Allman is perfectly weighted and designed to be at your side wherever you go. The Allman is manual-open with a flipper tab for ease and their perfectly-weighted, American-made S35vn steel blade opens beautifully with a ball-bearing pivot. Whether you choose the G10 or Titanium options, the Allman is ready for whatever you throw at it. They refused to sacrifice functionality for good looks. What they did instead was to get rid of anything unnecessary or superfluous, and to let the hard-working nature of the knife speak for itself. With both the frame lock (Titanium model) and the liner lock (G10 model), you can use the Allman in any situation with peace of mind, knowing your blade is firmly locked into place. Whether you want to use this knife as your casual all-purpose EDC, or if you want to put it hard to work as your hunting knife, the Allman’s G10 or Titanium options guarantee you’ll find the perfect fit. Titanium is world-renowned for its toughness. Not only is it a hardy, long-lasting material, it’s also incredibly lightweight. This means that, when it comes to the Allman, you can get the best of both worlds: a knife frame unrivaled in toughness and durability while simultaneously lightweight and easy to carry. Your Allman can hang with you wherever you go without becoming a burden in the slightest. Plus, with that one-of-a-kind color that only titanium provides, it’ll look slick the whole time. G10 is one of the most popular materials used in knife making, and for good reason. It’s the toughest glass fiber option available. On top of being durable, it’s also known for being incredibly strong and resistant to chemicals, as well as maintaining its integrity under intense climate conditions. You can take it anywhere and know it will stand up to whatever you throw at it — so naturally, this all adds up to G10 being a perfect choice for the Allman. The Allman’s milled pocket clip ensures that your knife will be by your side wherever you go while staying sleek and unobtrusive. Partnering up with Stock & Barrel the WESN Allman Leather sleeve has been crafted keeping simplicity in mind. The sleeve is multifunctional and gives you a variety of carry options, in your pocket, on your belt or at your side. The KLIP is one of those EDC products that doesn’t try to take on too much. It does one thing and does it right. Made with a robust titanium body, the KLIP is a convenient little blade housed inside a compact pocket clip, allowing you to fasten it to your pocket or your belt. Its tiny size and portable nature make it not just an EDC but an EEDC (an easy-to-carry everyday carry). The size of a single key, the KLIP works as a keychain too, allowing you to carry/fasten your keys to your pocket while you travel. The KLIP measures a mere 60mm when closed, and not more than 85mm when opened. It comes with a question-mark design that serves as a suspension hook/clip, but also allows the blade to sit in a recess in the back. 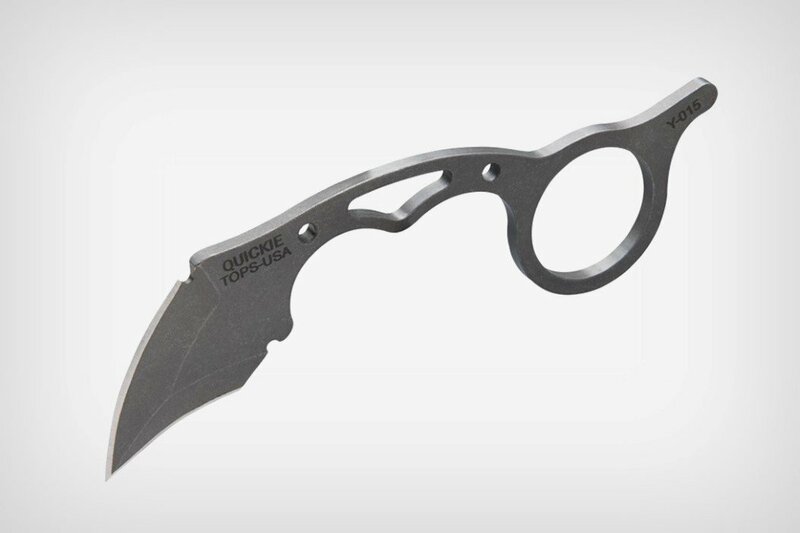 The KLIP’s blade measures just over 27mm, comes made from 440C stainless steel, and sports a pointed tanto-style cutting edge and tip that’s great for slicing as well as piercing. The blade’s housed in an incredibly resilient Grade 5 Titanium body that promises to last not for years, but for generations. “KLIP’s versatility and unique design make it ideal for your everyday adventures”, say the guys at Dapper Design, the California-based studio behind the KLIP. The small form factor enables the KLIP to be the kind of EDC you’d mindlessly carry with you everyday. The blade’s constant presence is what makes it so incredibly useful… and that Titanium construction means the KLIP will be your trusty partner for the rest of your life. Click Here To Buy Now: $39 $49 ($10 off). Limited time only! 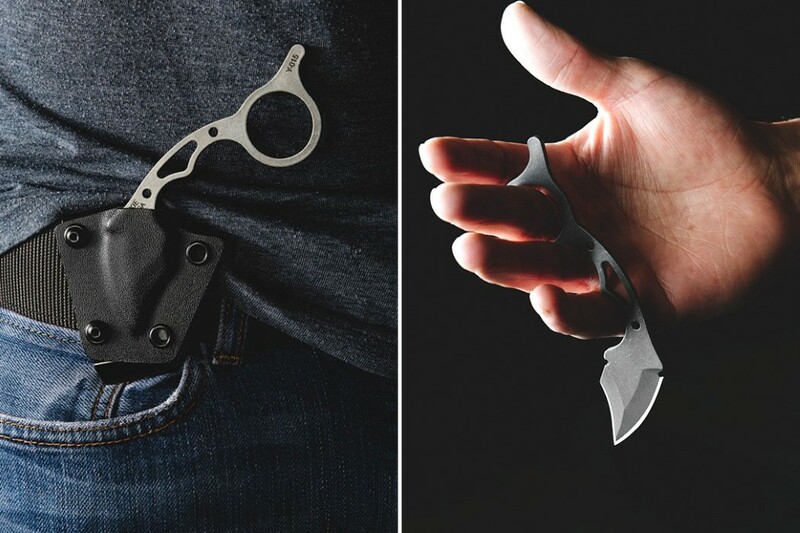 KLIP is a Titanium Pocket Knife and EDC suspension hook. An awesome everyday-carry suspension key hook with built-in pocket knife, KLIP is crafted from Grade 5 Titanium with a stonewashed finish. The first combination of its kind, KLIP neatly carries your keys and features a built-in precision blade. KLIP has the perfect balance of tension and flexibility; not too tight, not too loose! Safely put it on your belt loop, put it in your pocket, put it wherever. Carrying hard keys in our pocket can potentially scratch our smart devices. If your keychain has accessories like microlights or a utility knife, this only adds to the discomfort and awkward clump at the bottom of your pocket. KLIP solves this problem. KLIP takes the conventional suspension clip to a whole new level of functionality. Whether you consider yourself a minimalist or you carry more keys than the average person, KLIP is the ultimate everyday carry hook option for you. 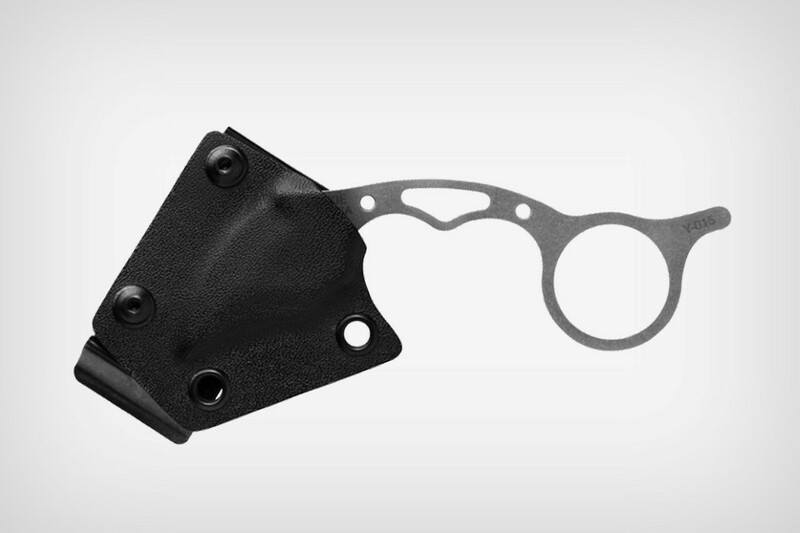 Expertly engineered using grade 5 titanium, KLIP is designed to withstand serious abuse, making it a durable companion for the most demanding cutting needs. Open letters, packages, remove staples or cut paper with the KLIP! While KLIP works with most standard split key-rings, the twist-lock steel cable rings are best for strength, security, and style.